Sisters Sarah Marie and Rebecca Marie Falzon sustained serious injuries in the hit-and-run accident in Attard back in April 28, 2010. The European Court of Human Rights has ordered the government to pay compensation of €6,000 to the father of Maximilian Ciantar over the confiscation/seizure of two vehicles including one used by Maximilian when he ran over two twin sisters in 2010. The Constitutional Court had found in 2014 that Emanuel Ciantar’s right to peaceful enjoyment of his possession had been violated when two vehicles had been confiscated/seized. This, the court ruled, amounted to lack of balance between the interests of the general community and his own rights as well as that of the company he owned. It ordered the release of both vehicles and the payment of €300 in moral damages. Mr Ciantar’s share of court expenses amounted to €1,129.46. The two vehicles in question were a Peugeot van and a Toyota Vitz. 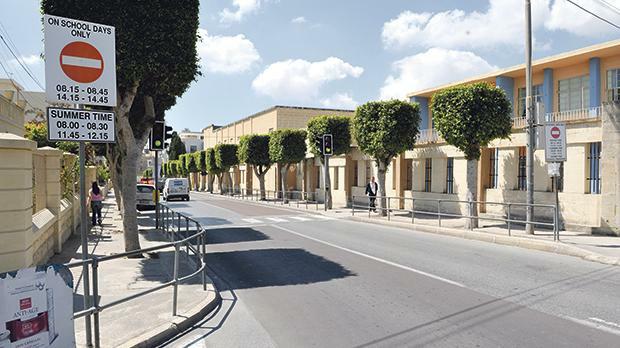 The Peugeot was being driven by his son, who did not have a licence, in the hit-and-run accident in Attard on the evening of April 28, 2010, in which Sarah Marie and Rebecca Marie Falzon, 11, sustained serious injuries, the latter spending two weeks in intensive care. Mr Ciantar Jr had been jailed for two years but a 10-year driving ban was reduced to six months on appeal. Less than three months after the Court of Appeal judgment, Mr Ciantar Jr was found guilty of making use of the Toyota, which belonged to his father. Though the court had not ordered the confiscation of the car, arguing it had been used without the owner’s consent, the police seized it and was not released by the authorities. His father subsequently appealed to the Constitutional Court demanding the release of the vehicles and insisting both he and his company had been deprived of their property. The court decided that the cars should be returned. In early 2015, Mr Ciantar sought redress before the Strasbourg-based court insisting he had been deprived of his property and also that he was not given adequate compensation. The seven judges hearing the case, including Chief Justice Emeritus Vincent De Gaetano, noted that to be compatible with the European Human Rights Convention, an interference with the right of property must be effected “in the public interest” and “subject to the conditions provided for by law and by the general principles of international law”. In addition, the interference had to strike a “fair balance” between the demands of the general interest of the community and the requirements of the protection of the individual’s fundamental rights. In view of the findings of the Constitutional Court, the European judges felt it was not necessary to examine again in detail the merits of the complaint. It was enough to find that, as established by the Maltese courts, the authorities had failed to strike a fair balance, though the Strasbourg Court restricted this only in relation to the seizure of the Toyota. It ordered the government to pay Mr Ciantar Sr €3,000 in moral and pecuniary damages and another €3,000 to cover court expenses.